Wear your lucky Yankees jersey. Hold your breath. Expect nothing less than a World Series win. 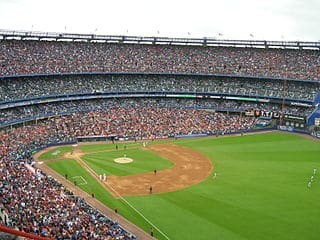 Certain routines are routine for millions of baseball playoff fans desperate to meet victory. In fact, a new study in the Journal of Consumer Research says fans are so deep in their traditions, they will drop brand loyalty-if it means a win. The study, written by Gita V. Johar of Columbia Business School and Eric J. Hamerman of Tulane University shows a sports fan will easily switch to a different product if the fan believes the new brand will bring about good luck or eliminate bad luck. “If someone buys a Snickers bar and subsequently begins to see their team improve, they might attribute that performance to their purchase decision,” Johar said. During one of the experiments in the study, participants were given Snickers just prior to watching their college compete in a simulated quiz bowl game. Their team started off poorly, but as the score improved, researchers distributed Snickers during simulated refreshment breaks. When the experiment ended — with the game still in progress — the researchers offered subjects a Kit Kat or Snickers. The series of experiments show that consumers tend to build associations between their use of a product and the desired performance outcome. Assuming the product will impact the outcome, fans will sacrifice brand loyalty. The study also shows people know there is no rational support for the superstition; nonetheless, this knowledge won’t alter their intended action. In fact, people believe that their superstitious behavior—choosing a less-preferred brand that is associated with a desired outcome for example—works! The experiments show that people predict that their desired outcome is more likely to occur after they use the product previously associated with that outcome.